Non-working Monkey is an unemployed simian from south London. Despite lack of job opportunities, apparently the monkey has enough money to buy crisps. Lets hope they are Salt and Vinegar Discos. The rest of NWMs answers are here. 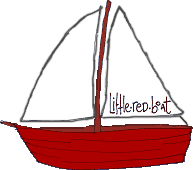 What are your five favourite blogs that ARENT littleredboat.co.uk? I have a single thick, dark hair that occasionally grows underneath my chin. I am a girl. Is this normal? I once asked a very eminent and very ancient Professor of Psychology the same question. He laughed through his beard and said: For thousands of years, man has been asking the same question. If Socrates couldnt find the answer, I very much doubt that you can. If grey is the new black, thin is the new fat and vid is the new blog, what the hell do you think youre doing? Its EITHER footless tights, tulip skirts OR microdermabrasion. Or cake. Not sure. Its definitely NOT Tony Parsons.